This summer has been a period of change at the Emirates, with Arsene Wenger leaving the managerial role and Unai Emery, the former Valencia, Sevilla and PSG man taking his place. Whilst a flurry of new arrivals have ushered in a new wave of excitement amongst the Arsenal supporters, a skeptics eye can reveal that Arsenal could be in for a tougher season than expected. To replace the ageing and deteriorating Petr Cech, Arsenal have brought in Bernd Leno from Bayer Leverkusen for around £19 million. While on the surface, replacing the error prone Cech with a 26 year old German for a third of what Liverpool paid for Alisson, seems like good business. However Leno is not a top quality replacement, and I would have suggested Yann Sommer the Borussia Mocheongladbach keeper who is a superior shot stopper, as well as less error prone. Whilst Leno is a good keeper in his own respect, I don’t feel he is a sufficient upgrade on Cech and certainly not the level for which Arsenal and Emery are aspiring. 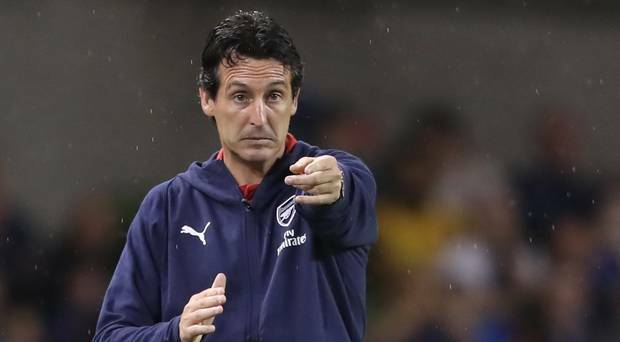 The defence has been a long term concern for Arsenal, however Emery himself may bring a defence boost as over his tenure with Valencia, Sevilla and PSG he has proved that he excels in creating a functioning defensive unit. Emery favours playing a 4-2-3-1 with two ball winning midfielders playing as the two. This was seen as he deployed Stephane M’Bia and Grzegorz Krychowiak in that position at Sevilla, Tino Costa and Albelda at Valencia and brought krychowiak over to PSG with him in an attempt to replicate the same double pivot, which in the end didn’t work out as Emery reverted to a 4-3-3. Despite Emery’s defensive capabilities that saw Sevilla win 3 back to back Europa League’s, this Arsenal back four has its faults. The main problem for Arsenal last season was the two centre backs. Koscienly looks slow and lacks the aggression and anticipation that he had a few seasons back. Mustafi looks like a loose cannon, though his time at Valencia suggests that if his concentration issues can be rectified, he can mould into a top class centre back. Mavropanos, Chambers and Holding are all young inexperienced defenders who could, under the right manager, develop into steady premier league centre backs. Sokratis Papastathopoulos has been brought in from Borussia Dortmund for £17 million. Whilst I do think this is a poor signing considering the Greek’s age, for this season he may be a decent reinforcement. Whilst Bellerin has been poor over the last two seasons, he may be able to reinvigorate the form he showed when he broke into the Arsenal first team. Monreal and Kolasinac are both decent full backs, though they may lack the offensive capabilities that Emery’s side need. What this all means is that Emery has a back four with players who need to regain their abilities of a few seasons ago and even though Emery’s side do usually excel defensively, this season may showcase the individual faults, particularly in centre of defence. In midfield, whilst the capture of Lucas Torreira from Sampdoria for £26 million is a good signing for the gunners, Arsenal’s midfield lacks the necessary creativity from deep. Xhaka is likely to partner the Uruguayan as a double pivot in Emery’s midfield, which to me lacks the passing ability that Arsenal need to breakdown teams. Xhaka can hit a long pass switching play but lacks the ability to play incisive passes between the lines of the oppositions defensive structure. Both Elneny and Torreira are also more ball winning midfielders than deep lying playmakers. Xhaka and Torreira only had a rate of 1 key pass per game last season, whilst Elneny had a rate of 0.8. In terms of through balls per game, Xhaka and Elneny only managed 0.1 whilst Torreira didn’t have any. This highlights the problem that Arsenal face in the centre of their midfield. They are lacking a player who can find Ozil and Ramsey in the half spaces and breakdown packed, narrow defensive structures. Arsenal have also neglected the wings of their attack with no player capable of playing on the right or left of midfield coming in so far in the transfer window, leaving Emery with Iwobi and Mkhitaryan as his two main options on the flanks. For a manager who relies on quick counter attacks, rather than build up from the two centre midfielders, Emery is leaving himself short in terms of pace and dribbling ability in his attack. Arsenal should have moved for either Bruma or Leon Bailey in this transfer window, but instead will have to resort to playing Iwobi, who is at best a bottom half premier league player, and Mkhitaryan who lacks the sufficient direct dribbling ability needed to play as a winger in Emery’s side. One position that we could see flourish under Emery this season is the centre of attack with Ozil playing behind Aubameyang. If Arsenal can get a winger with direct dribbling ability in than this would allow Ozil to operate in a similar role to what he did under Mourinho at Real Madrid, where he was the distributor of the final through ball during a counter attack. Whilst I do think that Arsenal’s lack of pace behind Aubameyang, insufficient creativity in the centre of midfield and the unreliability of individual defenders in the back line will inevitably see Arsenal fall short in their ambitions this season, I do expect them to have a flying start and potentially be within a few points of the top by November. My argument for this is that Emery’s side play Manchester City and Chelsea in the first two games of the season. Both of these games I would expect Arsenal to take points from considering the fact that both of these clubs have had their main players missing throughout pre season because of the world cup. This is a particular advantage for Arsenal considering the likes of Ozil, Aubameyang, Ramseu, Sokratis and Mkhitaryan have had near full pre seasons, whereas the likes of Man United will only be seeing Pogba, Lukaku, Rashford and lIngard back the week leading up to the season. My overall prediction of Arsenal’s season has also taken into account Emery’s record, which shows a manager who is adept at setting up a side to win a tie over two legs but like his time at Sevilla and PSG, he may struggle in games where the opposition attempts to block off his counter attack and leave the ball with the two ball winning midfielders in the double pivot. If I had to predict a position, I would say that Arsenal will just be pipped for the Champions League, finishing 5th, though I would expect them to go far in the domestic and European cup competitions, which will be the Europa League this season.